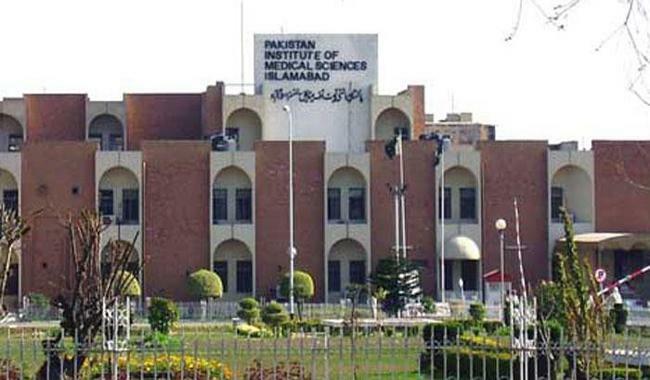 ISLAMABAD: After a tussle between two top guns of the Pakistan Institute for Medical Sciences (PIMS) Dr Raja Amjad Mahmood and Dr Mutahir Shah that stretched on for weeks, better sense has finally prevailed as the two decided to end their rivalry, regretting the fight that took place between them on January 2, 2019. 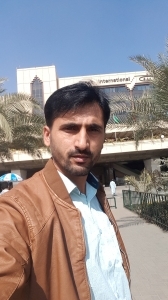 Pakistan Institute for Medical Sciences (PIMS) and Maternal and Child Health Centre (MCH) Assistant Director (AD) Mutahir Shah was suspended after he allegedly sent life threats to PIMS Executive Director (ED) Dr Raja Amjad Mahmood. The incident culminated in a first information report (FIR) being registered against Dr Mutahir Shah under the section of life threats and terrorism act, landing him in jail for 14 days. However, senior most doctors of the hospital and other senior officials were constantly in touch with both parties in order to find out an amicable resolution to the ugly incident, eventually resolving the dispute between them. Dr Muhathir Shah regretted his behaviour and reassured everybody that he would never repeat his mistake, adding that he would make up by respecting all staff members of the PIMS. Similarly, Dr Amjad has also regretted the incident and resolved to forego Dr Mutahir Shah’s behaviour while reassuring to maintain a good relationship with the latter for the betterment of PIMS. Following the resolution of the dispute, Dr Amjid wrote to the Federal Minister for Health Ministry of National Health Services, Regulations and Coordination (NHSR&C), Health Ministry secretary and joint secretary, chairman Senate Standing Committee on NHSR&C and other relevant quarters about the resolution of the tussle. The letter reads that a meeting of the head of departments and faculty members was held on Thursday at the hospital, wherein all participants endorsed the resolution on February 6, 2019, unanimously. Sources said that Dr Mutahir was angered by the PIMS ED’s refusal not to sign his Annual Confidential Report (ACR) as the latter asked the former how he had acquired the confidential report. However, sources said that they both had a rivalry that went back a decade. Dr Amjad, Dr Shah and Dr Masood Ghani, who had come to the Capital from different provinces and were absorbed despite the Supreme Court’s (SC) order to repatriate the deputationists to their parent organisations and provinces. All three doctors were in BPS-18; however, Dr Amjad reached BPS-21 in a short span of time and got the position of PIMS ED, while the other two are still in the same grade. In his complaint, the PIMS ED stated that Dr Mutahir had done the same thing three months ago for which he had been forgiven, adding that the recent incident had occurred in the presence of office staff who could testify if needed. “As soon as I left PIMS at 01:00 pm to attend the namaz-e-janaza of a friend in Rawalpindi, Dr Mutahir Shah called me and gave me life threats for the second time in three months, a recording of which is available in my phone. He then followed me in the vehicle until the old airport with clear intentions of physically assaulting me as he was carrying a weapon in the car. It is, therefore, requested that an FIR may be lodged against him under the Anti-Terrorist Act,” reads the FIR. Talking to Pakistan Today, ED PIMS Dr Raja Amjad said that the issue has been resolved amicably and he has no grudges with Dr Mutahir and confirmed that he had written to the health ministry and other relevant quarters for ending all cases related to the incident. Despite repeated attempts, Dr Mutahir Shah could be not reached for his comments as his mobile was switched off.